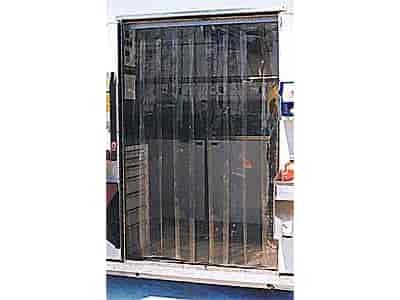 Pit Pal VS4X6 - Clear Vinyl Strip Door 4" x 6"
The ideal accessory for your car trailer, home or shop. Maintains control of dirt, dust, hot air and noise. Able to withstand the wear and tear of a high traffic area while offering easy access to enable you to go round after round. Mounting hardware and instructions included.